He was born George Leslie Goebel in Chicago, Illinois, His father, Hermann Goebel, was a butcher and grocer who had emigrated to the United States with his parents in the 1890s from the Austrian Empire. His mother, Lillian (MacDonald) Goebel, was born in Illinois to immigrant parents from Scotland. He was an only child. 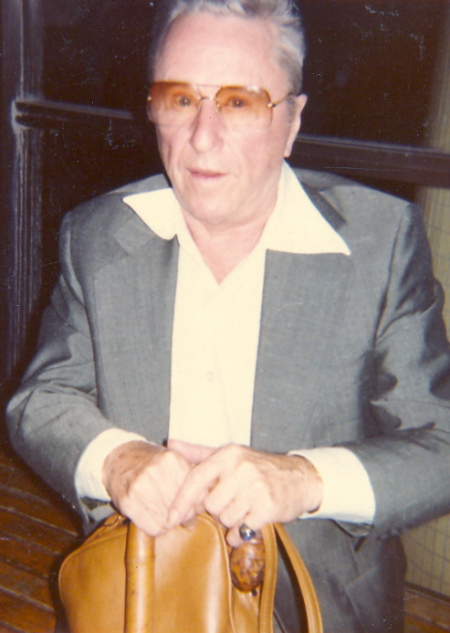 Gobel graduated from Theodore Roosevelt High School in Chicago in 1937. Gobel initially pursued an entertainment career as a country music singer, appearing on the National Barn Dance on WLS radio, and later on KMOX in St. Louis. 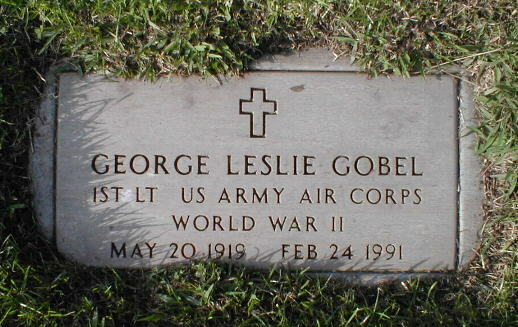 Gobel enlisted in the United States Army Air Forces during World War II and served as a flight instructor in AT-9 aircraft at Altus, Oklahoma and later in B-26 Marauder bombers at Frederick, Oklahoma. In a 1969 appearance on The Tonight Show Starring Johnny Carson, Gobel joked about his stateside service, “There was not one Japanese aircraft that got past Tulsa.” After his discharge at the end of the war, he switched from singing to comedy. Gobel began a comedy show on NBC in 1954. It showcased his quiet, homespun style of humor, a low-key alternative to what audiences had seen on Milton Berle’s shows. A huge success, the popular series made the crewcut Gobel one of the biggest comedy stars of the 1950s. The weekly show featured vocalist Peggy King and actress Jeff Donnell, as well as numerous guest artists, including such stars as Jimmy Stewart, Fred MacMurray, Henry Fonda and Tennessee Ernie Ford. In 1955, Gobel won an Emmy Award for “most outstanding new personality.” On October 24, 1954, Gobel hosted Light’s Diamond Jubilee, a two-hour TV special broadcast on all four US television networks of the time. Gobel and his business manager David P. O’Malley formed a production company, Gomalco, a composite of their last names Gobel and O’Malley. This company also produced the first four years (1957–61) of the 1957-63 television series Leave It to Beaver. The centerpiece of Gobel’s comedy show was his monologue about his supposed past situations and experiences, with stories and sketches allegedly about his real-life wife, Alice (nicknamed “Spooky Old Alice” and played by actress Jeff Donnell). Gobel’s hesitant, almost shy delivery and penchant for tangled digressions were the chief sources of comedy, more important than the actual content of the stories. His monologues popularized several catchphrases, notably “Well, I’ll be a dirty bird” (spoken by the Kathy Bates character in the 1990 film Misery), “You don’t hardly get those any more” and “Well then there now” (spoken by the James Dean character during a brief imitation of Gobel in the 1955 film Rebel Without a Cause). Gobel’s show used some of television’s top writers of the era: Hal Kanter, Jack Brooks and Norman Lear. Peggy King was a regular on the series as a vocalist, and the guest stars ranged from Shirley MacLaine and Evelyn Rudie to Bob Feller, Phyllis Avery and Vampira. Gobel labeled himself “Lonesome George,” and the nickname stuck for the rest of his career. The TV show typically included a segment in which Gobel appeared with a guitar, started to sing, then got sidetracked into a story, with the song always left unfinished after fitful starts and stops, a comedy approach that prefigured the Smothers Brothers. He had constructed a special version of the Gibson L-5 archtop guitar featuring diminished dimensions of neck scale and body depth, befitting his own smaller stature. Several dozen of this “L-5CT” or “George Gobel” model were produced in the late 1950s and early 1960s. He also played the harmonica. In 1957, three U.S. Air Force B-52 Stratofortress bombers made the first nonstop round-the-world flight by turbojet aircraft. One of the bombers was called “Lonesome George.” The crew later appeared on Gobel’s primetime television show and recounted the mission, which took them 45 hours and 19 minutes. Lonesome George, the non-breeding Galapagos tortoise that was the last of its 10-million-year-old species and that died in June 2012, was also named after Gobel. From 1958 to 1961, Gobel appeared in Las Vegas at the El Rancho Vegas and in Reno at the Mapes Hotel. In 1961, Gobel starred (with Sam Levene, Barbara Nichols, and Paula Stewart) in a Broadway musical called “Let It Ride!” Score by Jay Livingston and Ray Evans. Gobel’s singing voice proved accurate and charming in a laid-back manner. Critics compared the show unfavorably to “How to Succeed in Business …” and it closed after only a couple of months in New York. Gobel was a guest on various TV programs, including The Ford Show, Starring Tennessee Ernie Ford, The Bing Crosby Show, The Dinah Shore Show, Death Valley Days, and Johnny Carson’s The Tonight Show. In an often-replayed segment from a 1969 episode of The Tonight Show, Gobel followed Bob Hope and Dean Martin, walking onstage with a plastic cup with an unidentified drink. Gobel ribbed Carson about coming on last and having to follow major stars Hope and Martin. He quipped to Carson, “Did you ever get the feeling that the world was a tuxedo and you were a pair of brown shoes?”, to which Carson, Hope, Martin, and the audience came unglued with laughter. After the laughter died down, Carson asked Gobel about his career in World War II as a fighter pilot. Gobel feigned bewilderment at why people laugh when he says that he spent the war in Oklahoma, pointing out that no Japanese plane ever got past Tulsa. Gobel also began to get some unexpected laughs, being unaware that Dean Martin had begun flicking his cigarette ashes into Gobel’s drink. Observing all of this, Carson finally asked rhetorically, “Exactly what time did I lose control of the show? !” In the 1970s, Gobel was a regular panelist on the television game show Hollywood Squares hosted by Peter Marshall. He was also the voice of Father Mouse in the 1974 Christmas special Twas the Night Before Christmas, and sang the song Give Your Heart a Try in that production. He also made a guest appearance on Hee Haw in 1976. In the early 1980s Gobel played Otis Harper, Jr., the mayor of Harper Valley in the television series based on the film Harper Valley PTA. When ratings soared on The George Gobel Show (rated in the top ten of 1954-55), Paramount promoted Gobel as their new comedy star, casting him as the lead in The Birds and the Bees (1956), a remake of The Lady Eve (1941), with David Niven (playing a third-billed supporting role under Gobel and leading lady Mitzi Gaynor). However, Gobel’s TV success did not translate to the big screen. The film performed so poorly at the box office that release was delayed on his second Paramount movie, I Married a Woman, filmed in 1956 but not released until 1958. Although scripted by Goodman Ace, it also resulted in disappointing ticket sales, and Gobel’s career as a Paramount movie star came to an abrupt end. He settled into a succession of TV guest star appearances and did not return to movie screens until two decades later, as a character actor in Joan Rivers’ Rabbit Test (1978), followed by The Day It Came to Earth (1979) and Ellie (1984). He made nine TV movies during the 1970s and 1980s. 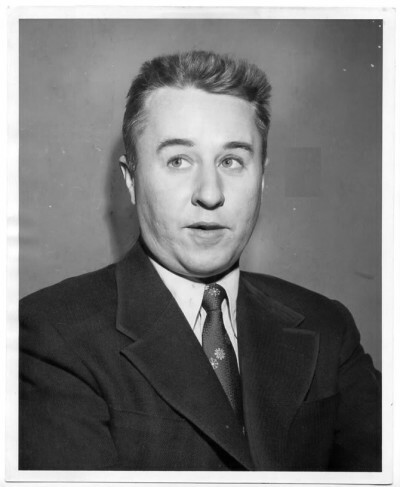 Gobel was considered for the voice of Winnie-the-Pooh by Walt Disney, but turned it down after reading the books and finding Pooh to be “an awful bore.” George Gobel died in 1991, shortly after undergoing heart surgery. He was survived by his wife Alice and three children. He is interred in the San Fernando Mission Cemetery in Mission Hills, Los Angeles, California.